​The summer of 2018 is upon us. The elves are waking up and planning this year’s event. Let’s recap last year’s event before I share what the elves are planning. 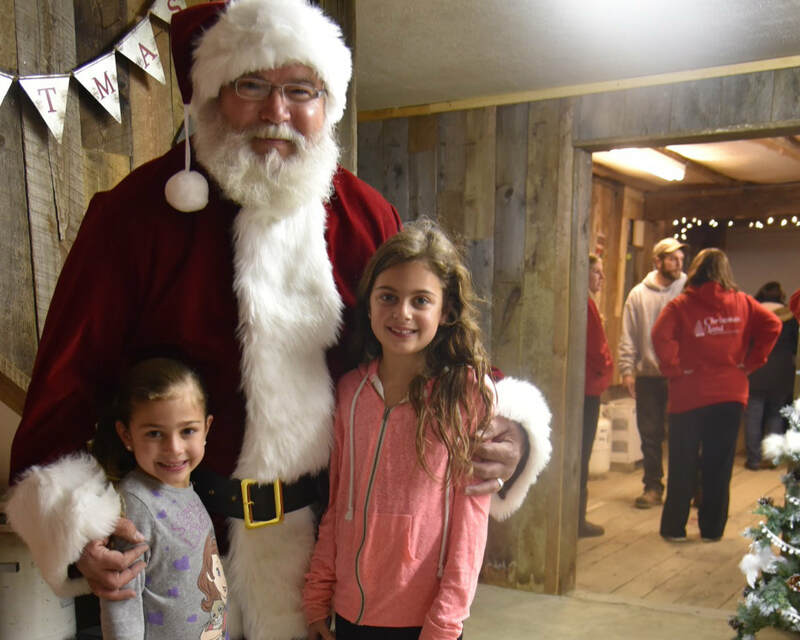 Last year we saw an enchanting four weekends of Santa admirers from newborns to grandparents. They rode Frankie the Christmas Land Train numerous times and waved to onlookers. Frankie was brought to life by a local toy maker and his son. The toy maker heard of the memory behind Frankie and knew just what to do. Kids from everywhere gave Frankie some Christmas spirit and of course he took them for many joyous rides through the winter wonderland created by a special Christmas Land elf. This elf loves Christmas and became teary eyed since Christmas is her sisters favorite time of the year and is not here to celebrate it with her after losing a brave battle with cancer. She added extra special sparkles to the children’s reading room and Santa’s special place adorning it with twinkling lights and magical creations. A local merchant joined the elves in decorating the kid’s activity areas and Christmas Land store. This local elf specializes in all the right decorating touches and brought the Christmas Land angels to life. Santa, oh yes, that Jolly man with the rosy cheeks talked to hundreds of children listening to their Christmas wishes while posing for all sorts of family photos. The story room was filled with children who listened to Christmas favorites. So many activities for the kids with all kinds of musical surprises. It was joyous, magical and accented with sprinkles of snowflakes amidst the Christmas lights, Christmas fire and carolers. Nothing like cookies and hot chocolate on a winter day! Feel Christmas with the Songs of the Season! 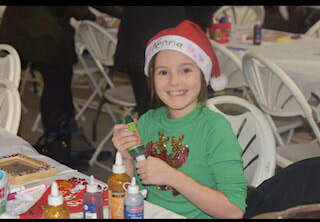 Ornament making, santa hat decorating, frame decorating! These make great gifts for family members! Tell Saint Nick what's on your list and ask about his reindeer! Old-Fashioned gifts made by artisans and crafters! So we set out to plan our event and then had a chance meeting with two friends, Suzanne and JJ DeVito, who are weaved into our lives in very different ways. Upon hearing echoes of our idea they were anxious to learn more. They expressed how they loved Christmas and knew, upon learning of Christmas Land, they wanted to be a part of it. So the DeVito’s join the Christmas Land family and we all get busily to work. Along comes a snowstorm roaring through in October collapsing the tent, sending our spirits amuck. We believe in Christmas magic and with our heads held up high, we forge forward. There were so many beautiful people assisting with a new outlook: a local man who sells tires nearby and his nephew offering a shed for use for Santa as we unveil to him our story of wanting to bring the spirit of Christmas back, a talented decorator who helped us make lemonade out of lemons the storm left us, the Christmas Light guys whom, like pioneers, battled a blizzard to decorate on time, artisans who still came to sell their products, a generous local business man with a huge heart who offers to transport numerous children and their families residing at the Ronald McDonald house in a limousine to experience some Christmas Cheer, and the thousands of people and their families who came no matter what the weather was each weekend. And now as we gaze upon a New Year in 2017 a new vision comes into light on Furbeck Road and we began to imagine Christmas Land now situated on a beautiful property with 100 year old buildings that once beamed with animals and a feed store. We began to clean up the buildings with the help of two brothers from Greenwich who fell in love with our concept. They breathe fresh air in and fresh paint on to the buildings. They mow the many fields with the help of another neighbor and his son who attended Christmas Land last year with his children and loved it. The brothers now intrigued with this man tell him about Christmas and bringing the spirit back. This chap not only becomes excited at the notion but exclaims how he painted this building during his youth and is thrilled to see it come alive again. He then stands gazing a bit perplexed and says, “Do you have Christmas trees to sell?” The one brother replies, “Not yet,” and without hesitation this fine fella says, “Well I do and would love to, as well as wreaths.” So now the elves are very, very busy preparing for 2017’s event! The magic continues in 2017!